In a unanimous vote on June 30, the Prescott Valley Town Council approved an employment agreement with aerospace giant Lockheed-Martin (L-M) to open a 50,000 square-foot Automated Flight Service Station (AFSS) in the Big Sky Business Park on Valley Road. This will be the headquarters,” he said. “This program will transition 30-some government employees starting Oct. 4. We also have about another 130 employees that will be transferring to Prescott Valley.”Lamb said their current Prescott Airport location is too small, so L-M is moving to the new Prescott Valley location. That center is expected to employ about 300 workers.Site plans also include a training center where current L-M employees will learn the AFSS computer systems and then return to their home locations.The town offered L-M a five-year employment incentive of $300 for each job that pays $17.50 or more. L-M must then provide 200 equivalent jobs annually for the same five years.Mayor Harvey Skoog said he is thrilled to have a world-class operation in the high Tech sector moving to town.“We know what a big plus this is gong to be for our community and we hope our community is going to be a big plus for Lockheed-Martin,” he said. Prescott Valley Economic Development Foundation Executive Director Gary Marks said the impact of such an agreement is far-reaching.“I hope everybody can share in the excitement. This is a great day for Prescott Valley," he said. "This is a long term public/Private venture that is going make something very special for Prescott Valley and Yavapai County.”Marks estimated the training center alone would have an impact of more than $1 million annually on the local economy.The document submitted to the council also shows the maximum financial risk to the town is $90,000 annually, or $450,000 over the five-year span of the contract. 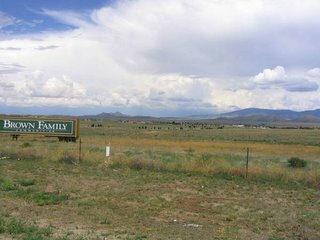 The Prescott Valley Town Council approved an amendment to the town's general plan July 14 to allow commercial development on a parcel on the northeast corner of Hwy. 89A and View Point Dr. amid concerns of some residents.Councilwoman Laura Lee Nye said this was a very difficult decision after hearing from residents opposed to the plan. "I found this agonizing, because you are speaking from your heart," she said. 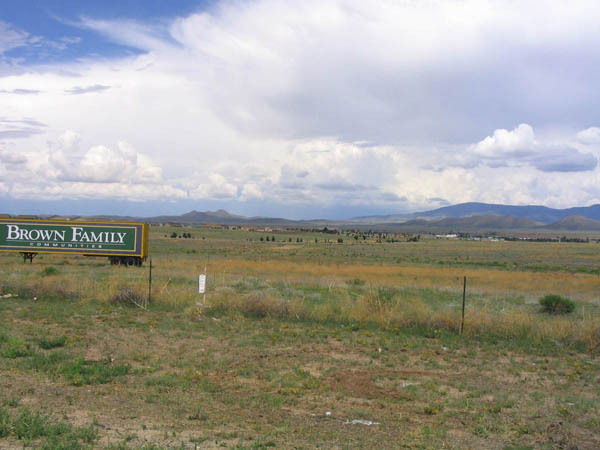 The amendment clears the way for development partners the Brown Family Trust and Coyote Springs LLC to seek a zoning map change to construct a large shopping center on the 30 acre site.Spokesman for Coyote Springs LLC Gary Emory said the project will be a good fit for the community. "It is our intention to create a marketplace that we can all be proud of and the community at large can be happy with," he said. "We've even suggested an architectural style we think is appropriate, one with a ranch flair. "Several residents opposed to the project told Council members they fear a large increase in traffic brought about by the shopping center would change the character of their neighborhoods and would only increase the traffic problems. Currently, about one half of the area's 12,000 planned homes exist. Emory said road improvements are already in the works. Emory also said, they previously scaled down the project from the 90 acres available to them to only 30 acres. "Both of the roads surrounding this property are already scheduled to be made into four lanes," he said. "Those are requirements that are already in existing development agreements with home builders." Developers said there would be no 'big box' retailers involved in the project, but the plans do include a grocery store and several restaurants. "When we first started, we were looking at this entire parcel," he said. "We heard from the community that it was simply too much commercial. "Developers have not released the names of the principal tenants as yet, but are expected to do so soon.